Several NBA athletes have recently been spotted in the Under Armour Micro G Bloodline during “Are You From Here” basketball tour stops. Naturally, Under Armour top-rep Brandon Jennings has been among those lacing this silhouette up. 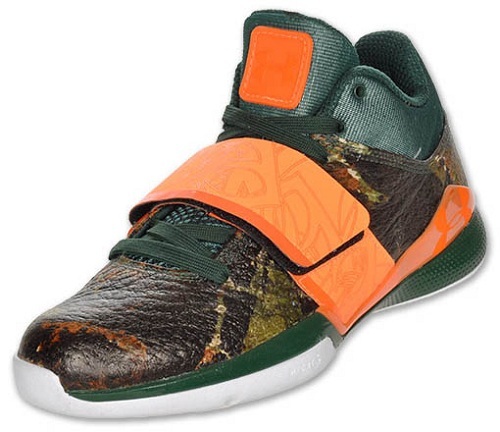 However, here we get out first look at the “Hunter” Under Armour Micro G Bloodline colorway. 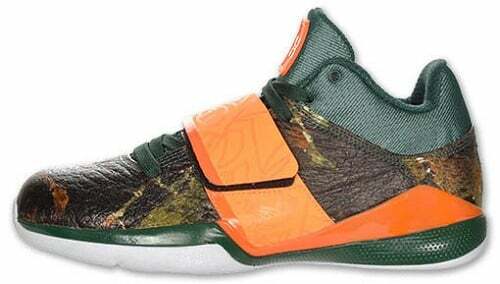 As one might be able to guess, this colorways celebrates the rich hunting tradition of Wisconsin. 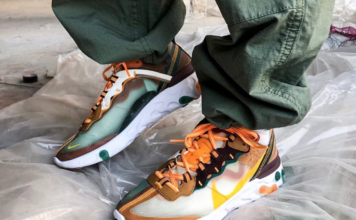 This particular colorway sports green micro mesh along the ankle area, while a unique green/brown/orange hunter motif fills the shoe out. 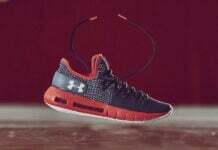 This version of the Under Armour Micro G Bloodline is available for purchase now at the $110 asking price in adult sizes.